The Janus amps are notorious for failed solder joints on the board connectors of the power amp. Easy to fix, but without some additional action, the repair is just as susceptible to failure as the original. Luckily, it's easy to prevent, also. The joints are prone to failure because the only mechanical strength is provided by the solder joints, the connected cables put a considerable amount of mechanical stress on the joints, and vibration exacerbates the problem. So, what's needed is a way to relieve the mechanical stress on the solder joints. My solution is to run a bead of hot glue on the three accessible sides of the connector. This stabilizes the body of the connector, so the glue resists the forces that the solder joints were soley relied on to resist previously. Incidentally, I work in avionics, where vibration hardening is a highly developed art, and stabilizing parts with hot glue is a tried and true method you can find flying in avionics equipment priced like Ferraris. From the looks of the scorched fiberglass under that one transistor, you're gonna need a heat sink on that one. Yeah, those should have had heat sinks. I'll add them before I'm done. Still need to recap it, too. The Janus is sure a lot easier to work on than the Peterson. It's great to hear creative and professional ways of solving notorious problems. I can see moreso why this happens and thanks. What is hot glue? I mean, I've heard of it but what kind of glue is it? Is it comparable to any other non-hot glue? 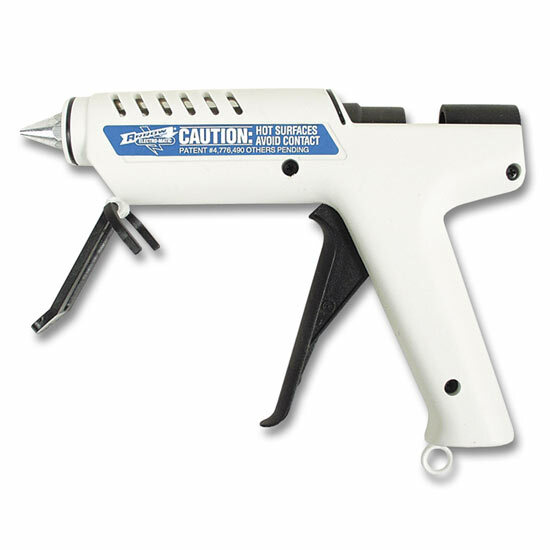 Hot glue, as in 'hot glue gun' (see link below). Some are dual temp, which can be nice. If you're going for strength, use high temp. If the glue can melt what you're trying to glue, use low temp. Low temp requires specific low temp glue sticks. If you get a single-temp gun, get high-temp. Thanks. But I'm wondering what type of adhesive it is. I'm primarily familiar with it as a crafting tool and I assumed it was used for that because it set up quickly. How does its bond compare to other glues like epoxy? Epoxy would be a much stronger bond than hot glue. I suppose one could epoxy the connectors- there's more than one way to skin a cat. But epoxy is kind of nasty to work with, harder to control, is more difficult to rework, takes longer to set, and would generally be overkill. Hot glue is a relatively low bond strength and bonds best on porous surfaces. But it's easy to work with, easy to control, easier to rework, and sets quickly. And for mechanically stabilizing electronics parts, it's good enough. In a situation where hot glue would do the trick, I'd never break out the epoxy instead. Save that for the situations where you need epoxy. Different adhesives and fasteners are better in some situations than others, and none is best for everything. But I think for this particular purpose, hot glue is optimal, and is a generally useful tool to have in one's bag of tricks. I recently re-capped some stereo speaker crossovers. The 30-year-old caps were held in place with (far too much) hot glue, but it was very easy to scrape away. Epoxy would have been a mess. I quite happily installed the new ones with hot glue. 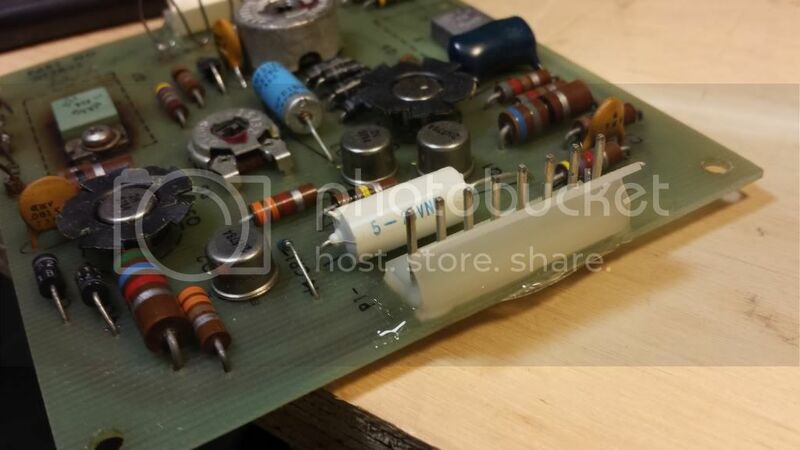 I just recently used my hot glue gun to secure the larger capacitors when I re-capped my old Korg ES-50's power supply. They had used some not so friendly to remove adhesive to hold their caps in place originally. The higher temp sticks have a better bond and have less of a rubber give to them, in my opinion. The nice thing, as has been stated, is it is much friendlier to remove from items it has been applied to. You usually need a gun that is designed for the higher temp sticks. I have become attached to "PAM" myself. I included a pic showing the difference between a typical hobby and a more industrial gun that uses the hotter melt temp sticks. I never thought of using it to support connectors. I like the idea of supporting connector plugs with it. Quick enough to do and could save you from future issues! All that said, you can find two part epoxy on avionics rework, too. Epoxy would be more permanent and more rigid for good or ill. The chances of having to completely replace one of those connectors is pretty slim, so probably not a problem. It pretty much comes down to hot glue being a lot easier, and the still providing good durability. Epoxy ultimately would have the edge in durability, though, I think. And I'll probably glue down the fourth side when I have that cap removed. Hot glue is great but I have found that when these contact strips are loose I usually solder the wires directly to the board in order to guarantee their reliability. There is enough slack in the wiring that even when hard wired the board can be lifted out if any components need replacement in the future. I guess that's one way to do it. If the connector is stabilized, though, I don't think there's a problem anymore - and no need to hardwire. I would put down money that the joints with a stabilized connector are more durable than hardwired joints. A lot of unnecessary work to hardwire in leui of a little hot glue. It probably takes only a few extra minutes than figuring out how to stabilize everything. I have had connectors that after being repaired in some way shake loose a year later after gigging to a point where the contacts do not become reliable again but all of my hard wired amps have been bulletproof so far. There's no need to worry about corrosion or bumps in the road when you have a solid solder connection to the board. Attached is a photo of the circuit board from an Indycar steering wheel. You can see how the mechanical parts are protected against vibration with adhesive around the base of the components.